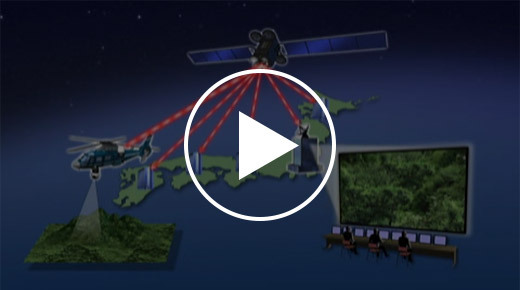 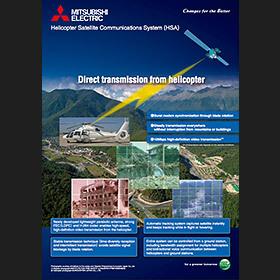 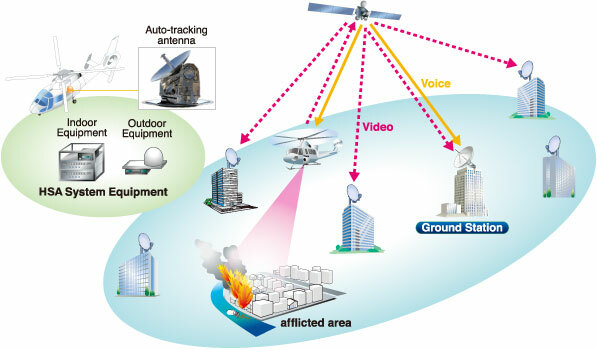 Direct transmission to the satellite from the helicopter through rotating blades enables real-time video and data report to the ground station. 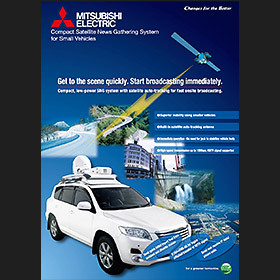 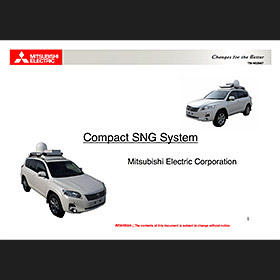 The compact and automatic SNG equipment enables fast onsite broadcasting. 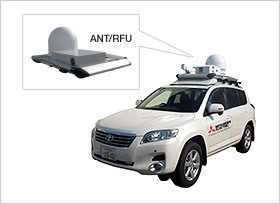 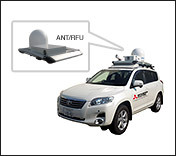 The auto-tracking antenna and full solid state equipment provide with easy operation. 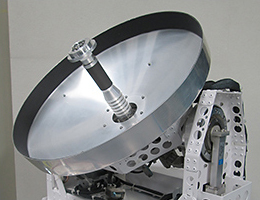 Uplink data rate up to **11Mbps, DVB-S2 mapping signal supported. 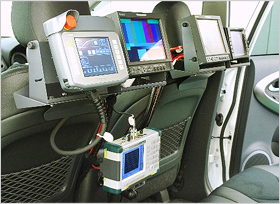 * On-the-move operational parameters should be met with the local regulation where to operate. 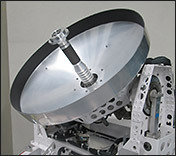 ** The data rate is dependent upon the link budget calculation for a satellite transponder to use.